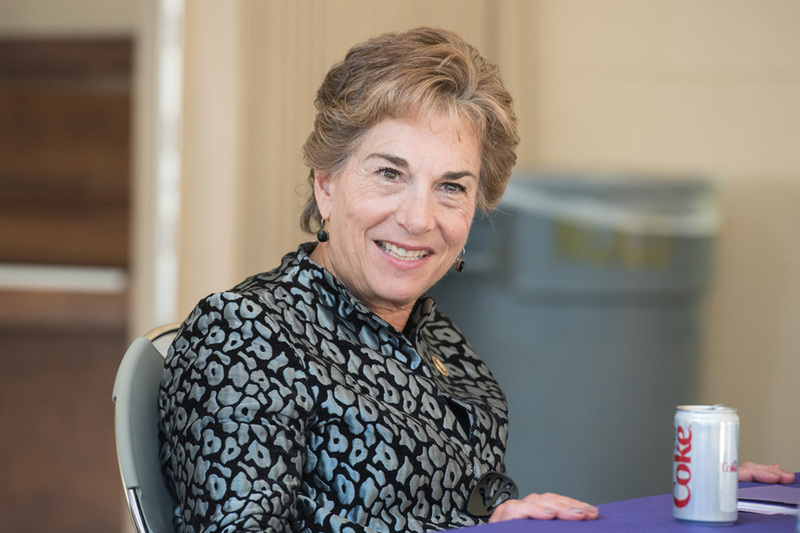 U.S. Rep. Jan Schakowsky (D-Ill.) addresses Northwestern students at an October 2016 event on campus. Schakowsky critiqued President Trump’s new tax plan Wednesday, saying it would exacerbate income inequality. U.S. Rep. Jan Schakowsky (D-Ill.) decried the Republican tax plan as “tired and cruel” in a statement Wednesday, saying it would exacerbate income inequality across the country. She said the plan — introduced Wednesday by President Donald Trump — would “make the rich much richer and the poor even poorer.” Besides tax cuts for businesses and wealthy Americans, the plan would cut the number of tax brackets from seven to three. The highest of the seven current tax rates is 39.6 percent and the lowest is 10 percent. Under the new plan, tax rates would stand at 12 percent, 25 percent and 35 percent. However, the new framework also gives Congress the option of creating a higher, fourth tax bracket. According to The Wall Street Journal, this could allow Trump to claim that the wealthiest households aren’t receiving a “significant” tax cut. While Schakowsky agreed that the tax code is “in serious need of reform,” she said the wealthiest individuals and corporations need to “pay their fair share” so the country can invest in American families. She added that Republicans “wasted the day” creating the plan when authorization for the Children’s Health Insurance Program, Community Health Centers and Teaching Health Centers expires Saturday. “Republicans seem to have no time on their hands to ensure that America’s children get health insurance, but have all the time in the world to ensure that America’s billionaires get tax cuts,” Schakowsky said.